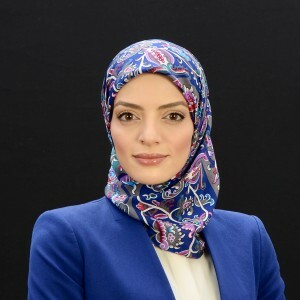 Dr. Dalia Fahmy is Associate Professor of Political Science at Long Island University where she teaches courses on US Foreign Policy, World Politics, International Relations, Military and Defense Policy, Causes of War, and Politics of the Middle East. She is currently a Visiting Scholar at the Center for the Study of Genicide and Human Rights at Rutgers University and is also a Senior Fellow at the Center for Global Policy in Washington DC. Since the terrorist attacks of 9/11, a suspect socioreligious climate has emerged in the USA with regards to Islam and Muslims based on fear. While many see this new construction, or Islamophobia as a return of an old culture of paranoia, or McCarthyism, Islamophobia has become a cultural and political discourse that is far more reaching and socially destructive than the McCarthyism of the 1950s. This article extends Lau and Redlawsk's notion of correct voting – whether voters, under conditions of uncertainty, choose the alternative they would have chosen had they been fully informed about the issues and candidates in that election – to sixty-nine elections in thirty-three established and emerging democracies around the world. At the individual level, political sophistication, political experience and motivation all significantly predict the probability of casting a correct vote. However several institutional factors proved to be even more important. In particular, elections with more parties running – and settings that encourage candidate-centred voting – decrease the probability of correct voting, while more ideologically distinctive alternatives, clearer lines of responsibility and greater media access to information are associated with higher rates of correct voting. The liberatory sentiment that stoked the Arab Spring and saw the ousting of long-time Egyptian dictator Hosni Mubarak seems a distant memory. Democratically elected president Mohammad Morsi lasted only a year before he was forced from power to be replaced by precisely the kind of authoritarianism protestors had been railing against in January 2011. Paradoxically, this turn of events was encouraged by the same liberal activists and intelligentsia who’d pushed for progressive reform under Mubarak. This volume analyses how such a key contingent of Egyptian liberals came to develop outright illiberal tendencies. Interdisciplinary in scope, it brings together experts in Middle East studies, political science, philosophy, Islamic studies and law to address the failure of Egyptian liberalism in a holistic manner – from liberalism’s relationship with the state, to its role in cultivating civil society, to the role of Islam and secularism in the cultivation of liberalism. A work of impeccable scholarly rigour, Egypt and the Contradictions of Liberalism reveals the contemporary ramifications of the state of liberalism in Egypt. International Relations explores the basic concepts of international politics and investigates the causes of war. The selections in this anthology are drawn from major theoretical writings on international relations and offer sophisticated explanations of the forces and factors that shape the behavior of states in the international system. Among the topics covered are the nature of anarchy, power, the state, the international system, and international society. The discussion of the causes of war considers the impact of security dilemmas, balance of power, hegemonic stability, domestic politics, bureaucratic politics, human aggressiveness, and human cognition. This book offers students an accessible introduction to the central principles of international politics and provides a theoretical grounding for further study or research. Since the Arab Spring swept through the Middle East calling for democratic reform, all but one state has become more repressive in nature. The bottom-up civil society mobilized revolution that called for reform, good governance, freedom, and democracy has been replaced with a new kind of authoritarian rule that is much more repressive and far more un-democratic than pre-revolution. However, most of these post-Arab Spring nations are US allies that continue to receive much US aid even in the face of increased repression. This chapter will utilize the case of US-Egypt relations to highlight how US foreign policy has changed in the region—from democracy promotion to stability maintenance, and how US aid has been used to mitigate the relationship between allies as one underwent major change—and security became the name of the game. Strong and robust political parties are key tools for ensuring state political development. In granting a structure to political participation, its organization, and its expansion, political parties help ensure the overall stability of a liberal democratic state.1 Regrettably, however, this is not the case in Egypt, where weak institutions have considerably hampered democratic consolidation. In particular, the Egyptian legislative assembly, as the site for the cultivation of laws regulating political party formation, has proven complicit in outright enfeebling Egyptian political institutions rather than emboldening them. Rather than being an outlet for civilian voices, political parties in Egypt instead remain deeply circumscribed, and ultimately ineffectual. Put another way, despite the key role of a multiparty system in the preservation of a liberal democratic political order, the dysfunctional nature of party politics in Egypt has instead promoted an illiberal political order, enshrined and perpetuated at a systemic level. is chapter thus analyzes the structural illiberalism of Egyptian politics, by paying close attention to the weakness of the Egyptian political party system. In so doing, it will elucidate how the failure of political mobilization in Egypt to make signi cant gains is largely grounded in the systemic failure of party politics as a mouthpiece for the political aspirations of the Egyptian masses. Now six years since the popular uprising that ended the regime of longtime Egyptian dictator Hosni Mubarak, many have argued that the liberatory sentiment that stoked the Tahrir Revolution in the first place is barely recognizable. Following a year of the admittedly incompetent rule of Muslim Brotherhood-affiliated President Mohammad Morsi, the second uprising in July 2013 that brought down his rule ultimately gave rise to precisely the kind of authoritarianism Egyptian revolutionaries had been railing against in January 2011. Encapsulated most vividly by the Egyptian security forces’ calculated slaughter of protesters on August 14, 2013, in Cairo’s Rabaa Square,1 the Egyptian police state has returned with a vengeance. Under the stewardship of (now) President Abd al-Fattah al-Sisi, state repression has been escalated to levels hitherto unimaginable even during the Mubarak years, with not only suspected members of the Brotherhood but Egyptian civil society more broadly, now subject to sweeping crackdowns. The mass uprisings that spread across the Arab region in 2011 and ultimately toppled long-entrenched authoritarian regimes were comprised of ordinary citizens. The people who came together calling for change transcended ethnic, religious, ideological and gender lines. It seemed that ideologically based social movements, long perceived to be the agents of social and political change, had failed to bring about such change. For a brief moment, it seemed that these movements might lose their cache as the symbolic agents of change, replaced by non-ideologically committed coalitions of ordinary citizens. In the case of Egypt, it was not the Muslim Brotherhood, the country’s largest and most organized social and political movement, that brought about the revolution; on the contrary, they were late in officially joining the ideologically diverse revolutionary forces. However, following the removal of Hosni Mubarak, when the arena of contestation moved from the street and the square to negotiations with the Supreme Council of the Armed Forces (SCAF), and ultimately to the ballot box, Egypt’s non-ideological coalitions were replaced as the primary actors by the Muslim Brotherhood. This chapter traces the changes and adaptations made by the Muslim Brotherhood during three significant political moments: the authoritarian regime of Hosni Mubarak, military rule under SCAF, and the democratically elected Islamist government of the Muslim Brotherhood under Mohamed Morsi. The chapter will also examine if and how structural changes altered the political commitments and ideological rhetoric of the Muslim Brotherhood. In A Social History of the Late Ottoman Women: New Perspectives, Duygu Köksal and Anastasia Falierou bring together new research on women of different geographies and communities of the late Ottoman Empire. Making use of archives, literary works, diaries, newspapers, almanacs, artworks or cartoons, the contributors focus particularly on the ways in which women gained power and exercised agency in late Ottoman Empire and early Republican Turkey. The articles convincingly show that women’s agency cannot be unearthed without narrating how women were involved in shaping their own and others’ lives even in the most unexpected areas of their existence. The women’s activities described here do not simply reflect modernizing trends or westernizing attitudes—or their defensive denial. They provide an array of local responses where ‘the local’ can never be found (and should never be conceptualized) in its initial, unchanged, or authentic state. Fear of Islam has become more prominent in everyday political discourse than ever before. From last weekend’s nationwide Anti-Islam rallies, the controversy surrounding several mosque zonings, attempts to pass anti-Shariah legislation in 20 states, the arrest of a boy with a clock, and the vitriol coming out of the current Republican primary that questions whether Muslims in office can be trusted—it is obvious that anti-Muslim sentiment is on the rise. American strategy in the Middle East is perceived as a battle between two competing demands: the aspirations of the Arab people and the perceived instability that may come from realizing those aspirations on the one hand, and America’s strategic position and core interest on the other. The idea that these two demands are in opposition has led the U.S. down a path of choosing one over the other. This week’s meeting between U.S. Secretary of State John Kerry and Egyptian Foreign Minister Sameh Shoukry makes no mention of democratic provisions, human rights abuses and the increased suppression of civil society. The meeting in Washington signals that once and for all the U.S. is choosing one at the expense of the other. Last week U.S. President Barack Obama informed Egyptian President Abdel Fattah al Sisi that the military aid that was previously put on hold in the wake of the 2013 military takeover that removed Egypt’s first democratically elected president, Mohammed Morsi, would be reinstated. The call of Secretary Kerry and the State Department that democratic conditions would have to be met before the reinstatement of military aid were not only not carried out, they were replaced with the symbolic nod of the head to the Egyptian regime — placing perceived strategic interest before the democratic aspirations of the Egyptian people that brought about the revolution in the first place. This is a misguided calculation that rewards the repression of democratic voices in the name of regional stability. The US Department of State's recent decision to partially reinstate military aid to Egypt marks the beginning of the end of the battle for hearts and minds on the Arab street. What do these actions say about the commitment of the United States to democracy? And what do these actions signal to the Arab street about democratic values and their relation to US strategic interests? Washington's claim that stability and democracy are two sides of the same coin has left the Arab street questioning US commitment to democracy - and ultimately the value of democracy that they have yet to see. Since the removal of Mohamed Morsi, Egypt’s first democratically elected leader, much of the discourse on the interim government’s handling of the transition of authority has centered on the damage done to democracy. However, what is happening in Egypt today is far deeper and more dangerous than a democratic transition gone awry. Egypt is redefining authoritarianism by both institutionalizing the “deep state” and crystallizing military rule. The result is an entirely new phenomenon that deserves serious attention and demands a new way of thinking. This process has three important elements: the closing of political space, the elimination of public dissent, and the removal of the trappings of democracy. The election of former military chief Abdel Fattah el-Sisi ushers in a new era of Egyptian foreign relations, where the United States is no longer Egypt's only strategic partner. The longstanding relationship between the US and Egypt is facing a set of challenges, that may force Washington to reconsider its strategy towards Cairo. Meanwhile, Saudi Arabia and Russia are looking into deepening their ties with Egypt. On January 18, 2011, 24-year-old Asma Mahfouz posted a video on YouTube calling on Egyptians to take to Liberation Square on January 25 to reclaim their honor and dignity. Mahfouz’s video has been credited with sparking the Egyptian uprising and ending the 30-year reign of President Hosni Mubarak. The simple chant of “One Hand”—that all Egyptians should unite for a democratic Egypt—was to usher in a new era for women. However, the 17-day uprising has led to two years of contentious politics and has marginalized the very group instrumental for its initial success—women. The Egyptian revolution that began on January 25, 2011, and ended 18 days later on February 11 with the ouster of President Husni Mubarak, ushered in a new era of competitive politics. The revolution not only ended Mubarak's reign, but it also ended the dynamic of limited political contestation and participation in Egypt through the introduction of new and alternative political voices. These change have not only brought about institutional changes such as the new Law on Political Parties, but have also forced traditional parties, both religious and secular, to articulate alternative political platforms. Final Appeals Court acquits Mubarak in 2011 protesters deaths. Dalia Fahmy commentary. Jailing of journalists part of a larger trend? American Fascism: It can't happen here? On Twitter, Muslim-American Women Ask Trump: #CanYouHearUsNow? Can Egypt's currency devaluation boost its economy? As Cairo devalues the pound to meet IMF demand for $12bn loan, many fear it could cause prices of basic goods to soar. What do the dropped charges against Mubarak mean for the Arab Spring?